Retrouvez Nico et notre vieil ami Thomas de Belleville Brulerie, pour ce nouveau CCS Road Trip! Au programme: Cuppings, ateliers roast et plus...! Join Veronika at Alf&bet cafe/roastery in Prague for a cupping of new crops from Kenya, Ethiopia and Guatemala. Spaces are limited, so email veronika@collaborativecoffeesource.com to reserve yours. Join us for a huge 2-day event to celebrate summer crops from Colombia, Burundi and Brazil. We’ll be cupping coffees from our innovative partners Long Miles Coffee Project, La Palma & El Tucán, and CarmoCoffees. Special guest, producer Luiz Paulo Pereira, will present his exciting project in Brazil, Santuario Sul, plus there'll be roasting and brewing workshops, and your chance to win LPET Heroes Series coffee. CCS events are kept small and intimate to ensure our roasters have the best experience. Spaces in our Summer's End Celebration are strictly limited to 16 guests. Make sure you're among them - email bjornar@collaborativecoffeesource.com to reserve your place. Nine roasters from all over Europe joined us for this exciting challenge, with a few late entrants who cajoled the judges into letting them in on the fun. The prize had to be good in order to coax so many great cuppers away from the RAI Amsterdam to the considerably more stylish surrounds of the La Cabra pop up cafe. And it was an awesome prize indeed: an exclusive LPET Fermentation Pack from our friends La Palma y El Tucán. It was all-in for Round 2, with nine cuppers at the table at once. They all had ten minutes, but time mattered, and the fastest cuppers would move on to the finals. Nikko from Andante in Helsinki, Finland, flew through to the finals, while Tomas of Rebel Bean in Brno, Czech Republic, earned his place with a stellar time. In this final round Tomas and Nikko had to identify the fermentation method of the coffees: Acetic, Natural, Honey or Lactic. An informal round followed, as the cuppers gathered at the table to compare their thoughts with the selections of the finalists. Despite Nikko's prowess in the triangulation, it was Tomas of Rebel Bean who won the day! In a lightning quick time of 48 seconds, Tomas correctly identified two of the four fermentation methods. He left Amsterdam with a bag 4kg heavier than when he arrived. We can't wait to see what Rebel Bean do with these exclusive coffees. An enormous thank you to all who came for this fun event, and an extra special hug for La Cabra who provided the perfect venue. It was an ideal space, away from the craziness of the Roasters Village, to appreciate great coffee (and hear each other speak). Want to know how these innovative processing methods affect the cup? Looking for a unique coffee for your next competition? Check out our Competition Coffees page on Cropster Hub, and read this guide on buying greens for competition. Our Ikawa roasters are indispensable tools both at origin and in the lab. Nico will show you all the features while roasting some exceptional Burundian coffees from our partners Long Miles Coffee Project at World of Coffee, Amsterdam. See you there! And don’t miss our packed schedule of cuppings at the CCS stand, Booth 30 in the Roasters Village. See our full cupping schedule and all our sideshows for the next fun-filled three days. Veronika Gálová Veselá, five-time Slovakia Brewers Cup champion, and the latest member of the CCS team, will be brewing at the WB.coffee Booth, Roasters Village, World of Coffee, Amsterdam. Join Veronika and enjoy her award-winning brews of this delicious coffee from our friends at Finca Elida, Lamastus Family Estates, Panama. Friday June 22, 11.30am - 1pm. Plus, we'll be cupping every day at our stand, Booth 30 in the Roasters Village. See our full cupping schedule. Eight contestants will battle in this triangulation competition, with the extra challenge of identifying La Palma & El Tucán's different fermentation methods. The winner will take home an exclusive LPET Heroes Fermentation Pack, with four different green coffees, featuring four fermentation methods from our innovative partners from Cundinamarca, Colombia. Don't miss the action, start time 2pm this Friday June 22 at La Cabra's pop up cafe, Qunllijnstraat 80, Amsterdam. Join CCS and Fairfield Trading at the Café de Colombia Brew Bar at World of Coffee, Amsterdam. We will be there with friends and colleagues from KAFFA Oslo and Nordbeans, who will brew their roasts of Maria Bercelia Martinez and the El Tesoro blend, place winners in the CCS Acevedo Cup 2018. Saturday June 23, Café de Colombia Brew Bar, 1.15pm. We'll be visiting our partners in Burundi, Long Miles Coffee Project, for cuppings and visits to farms and washing stations. You're invited to join us. Complete the form below and we will be in touch with all the details. Join Julia and our friends at Green Coffee Gallery in Taiwan for a cupping of new crop Ethiopian and Kenyan coffees. Email jimsburger@gmail.com to reserve your place. Win a 4kg Heroes Fermentation Pack from La Palma y El Tucán! Collaborative Coffee Source presents the LPET Tasters Challenge at World of Coffee, Amsterdam. Friday June 22, 2pm at the La Cabra pop up cafe. Correctly identify the different cup and the fermentation method in this triangulation challenge, and you could win a selection of La Palma y El Tucán's Heroes Series. This limited edition WoC selection includes 4 x 1kg packs featuring different processes from this innovative producer from Colombia. Eight contestants will compete in this challenge. Register below and we will inform you on Monday June 18 if you have been selected. Thank you! We’ll let you know on Monday June 18 if you have been selected. The CCS team will be at World of Coffee in Amsterdam this June, 21st to the 23rd. We'll be hosting several cuppings a day of exciting current and incoming crops from our current offers list. Come and see at at Booth 30 in the Roasters Village. Join Nicolas and our friends from Ikawa to roast some samples from our partners Long Miles Coffee Project. 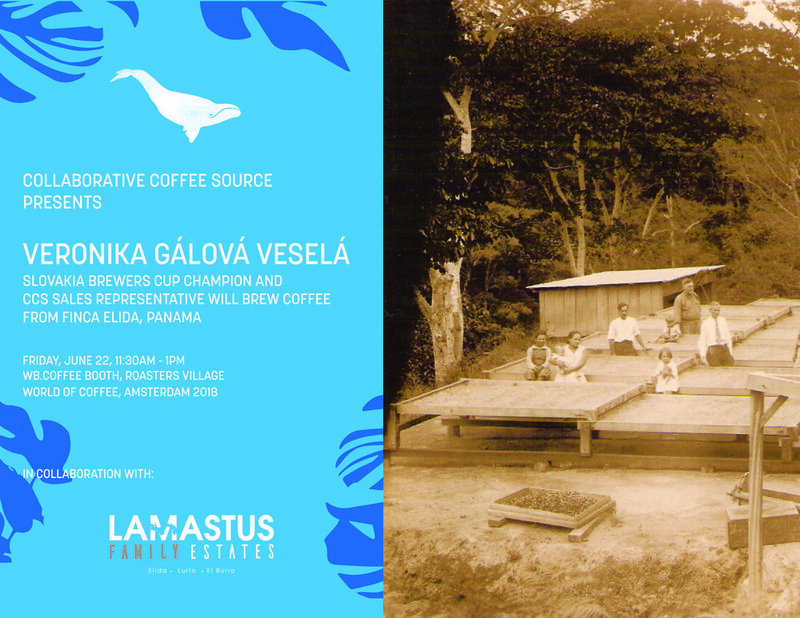 Slovakia Brewers Cup Champion, and CCS Sales Representative, Veronika Galova Vesela, will brew Finca Elida, Panama. Eight contestants will battle it out in this triangulation challenge with an added twist: pick the odd cup out, and identify the fermentation. The winner will take home a special Heroes Fermentation Pack from our innovative partners in Cundinamarca, Colombia, La Palma y El Tucán. CCS and Fairfield present a selection of lots from the CCS Acevedo Cup 2018, brewed by our friends from Kaffa Oslo and Nordbeans. 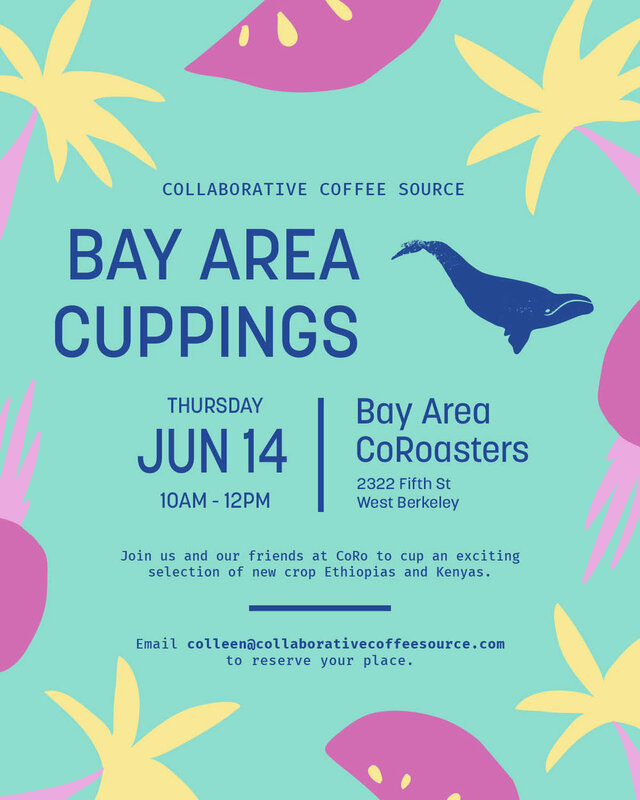 Join Colleen and our friends at Bay Area CoRoasters for another cupping of CCS gems, including new crop Ethiopian and Kenyan coffees. Spaces are limited, so email Colleen to reserve yours. Nico will be taking CCS on tour around Germany with our friends, Populus Coffee. 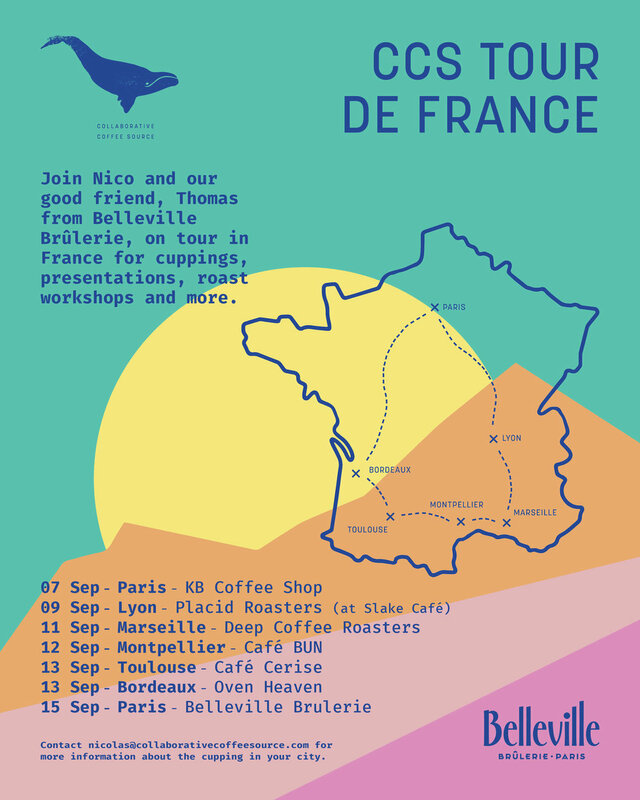 Check the tour dates below to find a cupping near you, and email nicolas@collaborativecoffeesource.com to reserve your place. Nico will be part of the action in Opole, Poland, this June with two cuppings at Hard Beans Coffee Roaster, Friday June 1 and Saturday June 2. Also on the agenda: Polish Coffee in Good Spirits and the Second Polish Commandante Championship! Contact Hard Beans Coffee Roasters for more information about the events, and email Nico now to reserve your spot at the cupping table. Spring is here and new crops are bringing sunshine into CCS Oslo HQ. Join us for a day-long workshop of CCS Acevedo Cup winners from Colombia, plus stellar selections from Ethiopia and Kenya. Presentation on the CCS Acevedo Cup by Suzie Hoban. Suzie lived and worked in Colombia for nearly 7 years before joining CCS in Oslo in January this year as CCS Communications Director. 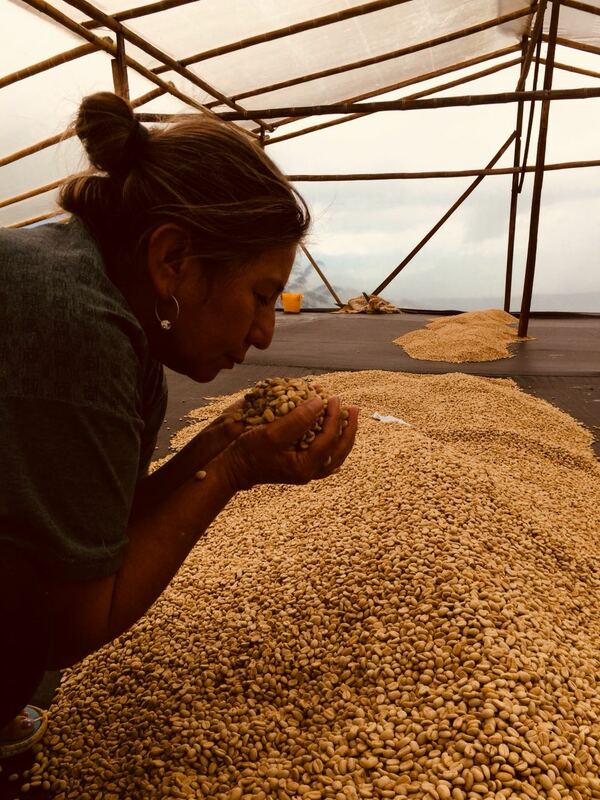 Suzie attended the CCS Acevedo Cup 2018 and will discuss the winning lots, and how these cupping competitions impact coffee producing communities in Colombia. Cupping CCS Acevedo Cup 2018 winners and other gems from the region. Presentation by Nicolas Pourailly on Ethiopia. Nico travelled with the CCS team and a large group of roasters from all over the world. He will share his first hand experience from the mother-of-all origins, and the his impressions of Ethiopia compared to his experiences in Latin America. Spaces are limited! Email Bjørnar to reserve yours.